There is no arguing that the root of all healthy hair starts first and foremost with your scalp. Your scalp is the foundation for all growth, texture, and pattern that evolves from your head. Luckily, the evolution of scalp products and treatments especially formulated with healthy oils and nutrients is increasing for us curlies. How do you know if you need a good scalp treatment? Well with the summer season quickly approaching many of us can experience dryness which can lead to an itchy scalp and flakes. Anyone who has experienced this knows the constant itching can drive you crazy by irritating your skin and potentially ruining a good hairstyle. We’ve rounded up 8 great products that can help cure your scalp itch and keep your hair happy this summer! The soothing blend of mint and almond oils can be applied directly into scalp whether wet or dry for maximum coverage. Soothing and rebalancing the scalp are just a few steps you need to take to achieve healthy hair growth with this essential product. Lemon and rose penetrate your strands to seal in shine and moisture, leaving behind a light and pleasant scent. Use this to invigorate your scalp or as a hot oil treatment to nourish your coils. A hair repair serum designed to smoothen and strengthen your hair is key for growth and styling. These organic ingredients blend sea kelp, argan oil, and shea butter to seal and smooth your hair cuticles. This is an essential product to help gently remove product build-up and soothe an itchy scalp after wearing protective styles like twists and braids. The mimosa flower, tea tree oil, and mint oil is going to leave a light fragrance and help your scalp recover post after removing braids or weaves. It soothes the scalp as well as helps to seal the follicle and hair ends. It can be used as a daily scalp oil, hot oil treatment, plus it can be used for nails and skin. This scalp treatment has cooling blends of peppermint and spearmint oils that reduces scalp itchiness, buildup and dryness. Add a few drops to your scalp after a wash or in between to soothe irritation. This unique blend after extensive research by combining not 2, but 17 of the best natural ingredients that increase hair growth by penetrating the scalp to get the nutrients to your follicles. 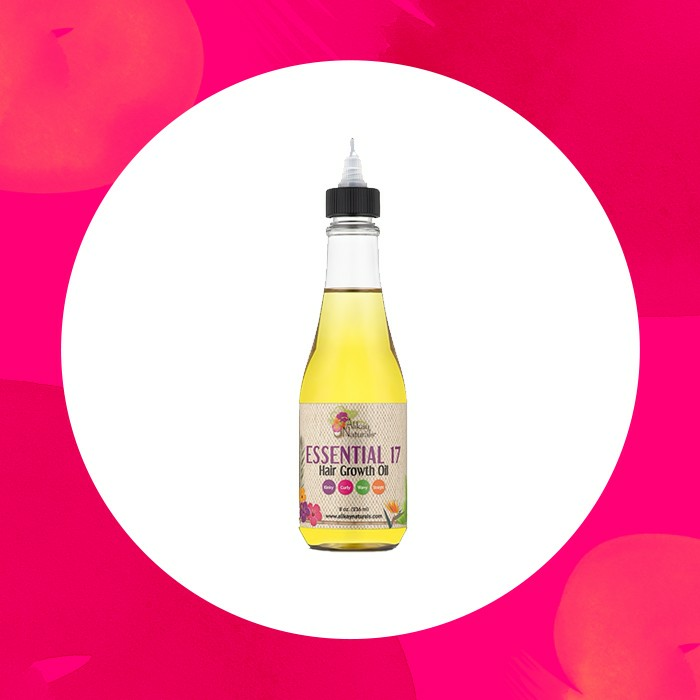 This oil blend stimulates, nourishes and strengthens the hair follicles and reduces dandruff, while helping to reduce scalp infections and inflammation. There are so many options, and so little time to shop, but with all of these remedies, we know your scalp is going to thank you! Picking out the product that is best for you is all dependent on the level of itch or dryness you are experiencing, so when shopping think about how light or intensive you want the oil to be. Also pay attention to the ingredients if you are sensitive to any specific formulas or have allergies!